Capdase offers a lot of svelte cases for iPhone 6 that definitely brings out the value of your priced smartphone. We have featured several premium cases before but now we are giving the spotlight to the iPhone 6 cases which are specially designed for the taste of women. 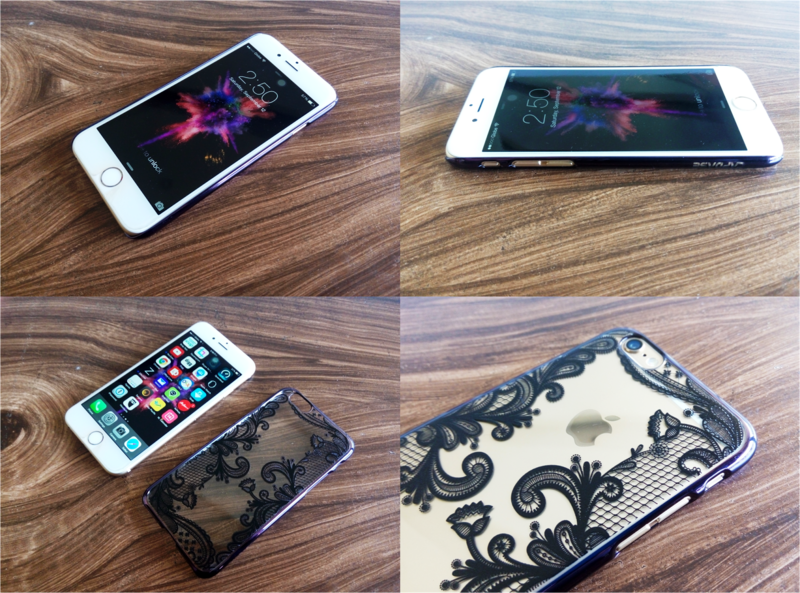 I am talking about two elegant series, the Capdase Mystery and Chic Karapace Jacket for iPhone 6. Join us right after the fold as we take a good look at these pieces of art. The Mystery Case for iPhone 6 is a different kind of animal compared to its cousins. It comes with a transparent design which is highlighted with eye-watering lace patterns which give it a feminine appeal. There are several lace designs for you to choose from. Our review case is a black variant which features purple-black sides with metallic finish. The surface comes smooth with its dust and scratch resistant properties. This version is adorned with a floral design which is technically embossed at the back of the case. What I like about the case is that it never seems to alter the slim form factor of the iPhone 6. It is also very appealing and definitely a head-turner when seen in the wild. 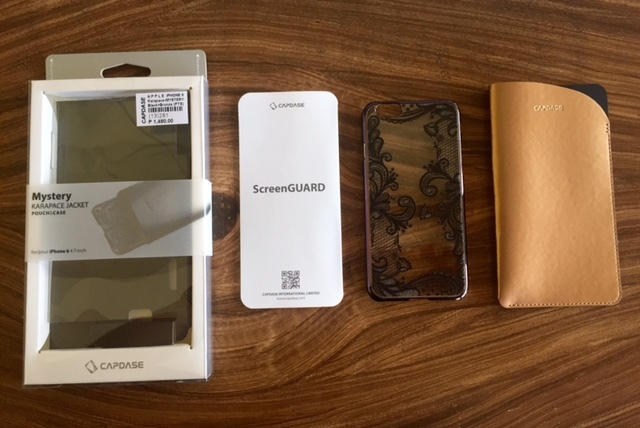 I did not encounter any issues with regards to compatibility, the Capdase Mystery Karapace Jacket case is tailor-made for iPhone 6 to give you full access for the important ports and buttons of the device. It is also worth noting that the Capdase Mystery Karapace Jacket case includes a two-tone pouch which gives an extra protection to your iPhone 6. Plus, there’s also a screen guard included out of the box. The case has four colors and their respective embossed designs. The Mystery Karapace Jacket Pouch and Case comes with a Php 1480 asking price in your respective Capdase store and outlets. The Chic Karapace Jacket, on the other hand, highlights a more premium construction between the two. 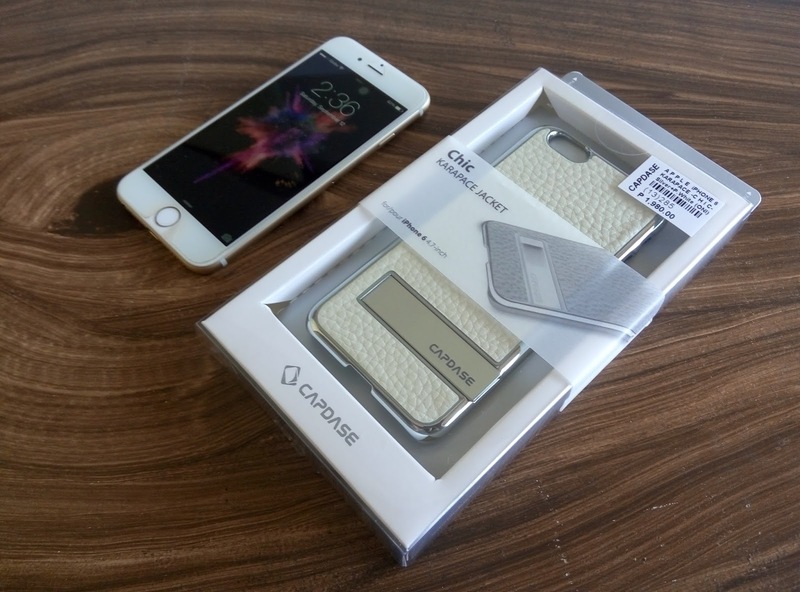 Like the other Capdase cases that we have reviewed in the past, the Chic features a thin form factor. What makes it a standout is the fact that its back cover is made up of genuine handcrafted leather accented with a metallic silver frame. This gives the case a luxurious appeal. Its inner sides are highlighted with a mirror-like material which is very pleasing to the eyes. Likewise, the sophisticated interlocking design infuses a “head-to-toe” protection for the iPhone 6. As far as the compatibility goes, the Chic Karapace Jacket offers optimal access to ports, buttons and toggles of the handset. 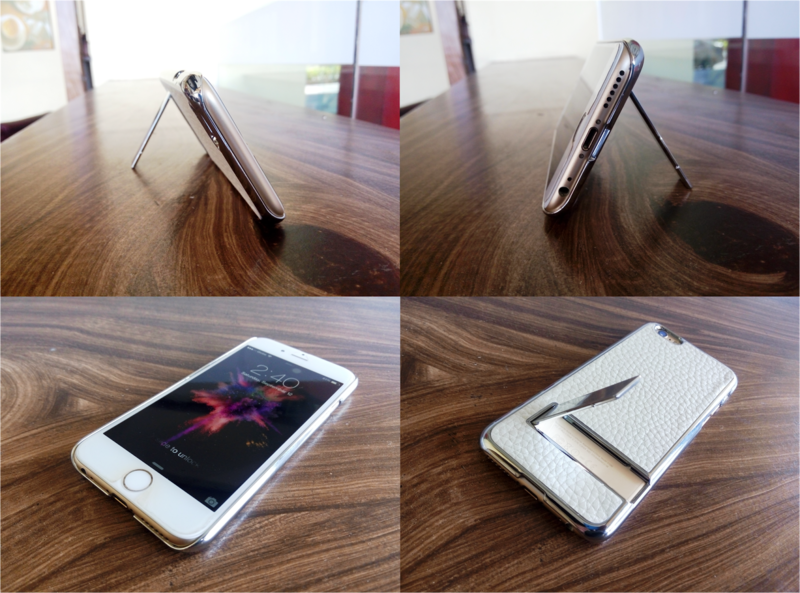 This case is also a performer when it comes to protecting the iPhone 6. It offers both scratch and dust protection. The best thing about the case is the inclusion of the built-in stand which offers hands-free viewing experience in a precise angle. This feature will be popular to all the streaming-hungry users in the market. There’s neither screen guard nor pouch included in the box. The Capdase Chic Karapace Jacket features four colors. We had the Silver-and-White variant for our review which, I guess, is the better looking in the pack. Since it features a hand-crafted genuine leather, the Capdase Chic Karapace Jacket is priced at Php 1980.